Mac 'Syrup' Lipstick, Lily Pebbles-My first Back 2 Mac purchase. Lily often features this lipstick on her blog and channel. Compared to other neutrals like Patisserie or Peach Blossom, it has more pigment to it. This leans more plum-pink on my lips but I imagine it'd look different depending on your skintone. It's such a versatile lipstick that would suit a range of makeup looks. Chanel Perfection Lumiere Velvet Foundation, I Covet Thee-Like Anna, Alix always has great recommendations. Foundations are her specialty so I was waiting to see if she'd review this foundation before going ahead and making the splurge. I've raved about this one a few times over the last month so I'll keep this brief. A matte-velvet foundation that leaves such a flawless finish. It lasts well with or without primer. I'm obsessed in other words. Read my full review here. L'Oreal Infallible Eyeshadow, Fleur De Force-These are amazing. Think pressed pigments, but without the fallout and less glitter to them. They have an almost foiled effect on the eyes and look stunning. You really have to swatch them or try one on yourself to understand just how unique they are. I have the shades Amber Rush and Bronzed Taupe, both Fleur recommendations and they are must-haves. Blinged and Brilliant is also great although I think that shade may have been discontinued now. 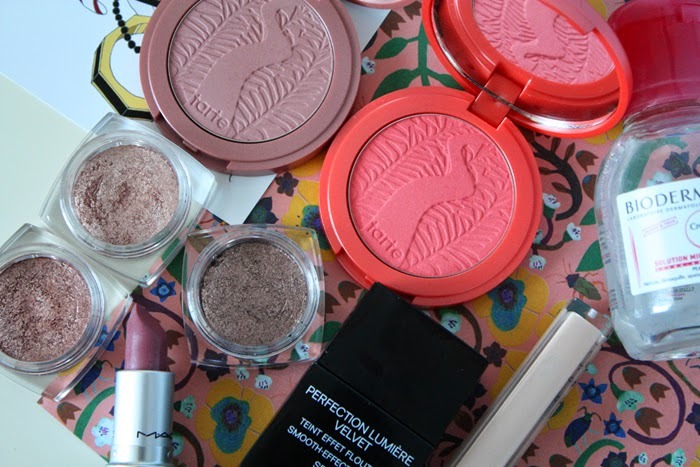 *What beauty products have you splurged on that have been based on blogger's recommendations? MAC Syrup looks perfect and is going straight on my wishlist! I've been influenced by so many bloggers - clarisonic, Garnier BB cream, anything Kiehl's, Maybelline Falsies mascara - all blogger purchases! These 6 are big enablers for me to! I love the L'Oreal Infallibles they are seriously incredible! How could I forget Shannon! She has great recommendations too, particularly for drugstore priced buys x. That foundation is already on my wishlist I've only heard good things about it! It's awesome. You'll have to check it out on counter sometime soon x.